Using only the very purest extracts, ESPA biochemists distil active ingredients into products that keep their promises. For instant, lasting results, every day. At The Signature Spa, our ESPA facials begin with a detailed consultation and in-depth skin analysis using technology to identify skin conditions not visible to the naked eye. Each Signature Spa ESPA facial is specifically tailored to you, to include cleansing, exfoliation, steam and extraction where necessary, and a treatment specific massage and mask. Finally, skincare products are chosen for your individual needs to achieve the best possible results. 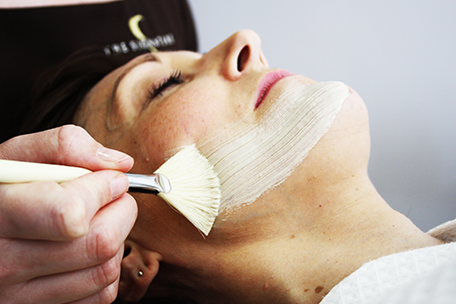 To maintain the ultimate in healthy radiant skin our expert Signature Spa therapists recommend a facial once a month. This ESPA Signature Spa facial instantly revives and brightens the complexion while ultimately helping to protect against environmental damage and delay the early, invisible stages of skin ageing. Reveal your skin’s true potential with this targeted facial that unites the pioneering formulas of our Optimal Skin collection with expertly tailored facial techniques. Designed to rebalance, hydrate and revitalise, Tri-Phase cleansing technology is enhanced with Clarisonic brushing for a deep cleanse. A luxurious and regenerating facial for maturing skin to help minimise lines and wrinkles around the eyes, neck, lips and jaw line. This ESPA Signature Spa treatment visibly improves the appearance of the skin by using a selection of age-defying products to replenish and revitalise the skin, leaving your complexion toned, radiant and rejuvenated. A comforting facial for sensitive skins prone to redness and irritation, leaving skin calmed and nourished. De-sensitising natural plant extracts and calming aromatherapy oils such as Chamomile and Benzoin are used to gently cleanse, nourish and hydrate fragile skin. This soothing ESPA Signature Spa facial helps to reduce skin sensitivity leaving skin calmed, nourished and comfortable. An intensive and regenerating facial for dehydrated skin leaving it supple and nourished. Gentle cleansing and exfoliation help the skin absorb replenishing face treatment oils and masks to deeply moisturise and soothe the complexion. This rehydrating ESPA Signature Spa facial leaves skin smooth and feeling rejuvenated. A special application of ESPA Skin Radiance Moisturiser; rich in natural AHAs and BHAs from Hawaiian Algae and Meadowsweet, helps to smooth and reduce irregular pigmentation and brighten the skin to deliver instant results. This deep cleansing ESPA Signature Spa facial helps to regulate oil secretions and refine open pores. Essential Tea Tree and White Thyme oils, which are naturally decongesting and anti-inflammatory, are used to soothe and calm the skin, encouraging a more balanced and clearer complexion.